At the weekend I was babysitting my little niece who is four years old. The weather was really wet and windy and it was so bad it was impossible to venture out. Entertaining a four year old is quite difficult as their attention span for long periods of time is limited. I had to plan activities that were fun to do, easy to clear up and didn't take too long. I picked up my niece (Little M) and as soon as she came in, she ran into the kitchen and immediately wanted to help me make a smoothie in my Optimum 94OO. With Aprons on we set to work, Little M peeled the bananas and roughly cut them with a blunt knife them, together we added them to the blender. With help she added dollops of vanilla ice cream, some cold milk and them with little fingers she whizzed the whole smoothie up. 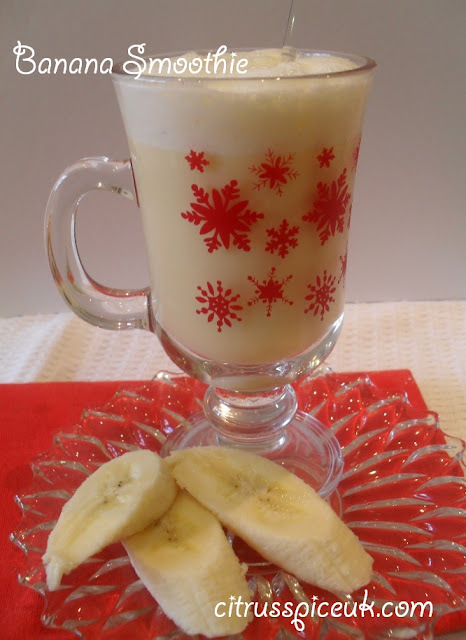 Our banana smoothie was delicious. There was no time to style the photograph but here is a quick click of what we made. Banana smoothies and cookies eaten we decided to make some rice krispie chocolate clusters so that Little M had a pressie to take home for mum and dad. We added some milk chocolate into a heat proof bowl and microwaved it at 30 second intervals until it had melted. Carefully as bowl was hot we added the rice crispies into the chocolate and mixed it together. With little helping hands we spooned the mixture into little cupcake cases and left them to set. I was able to take a quick photo while Little M licked the bowl. It soon stopped raining so we were able to go out to the shops to get some shopping. 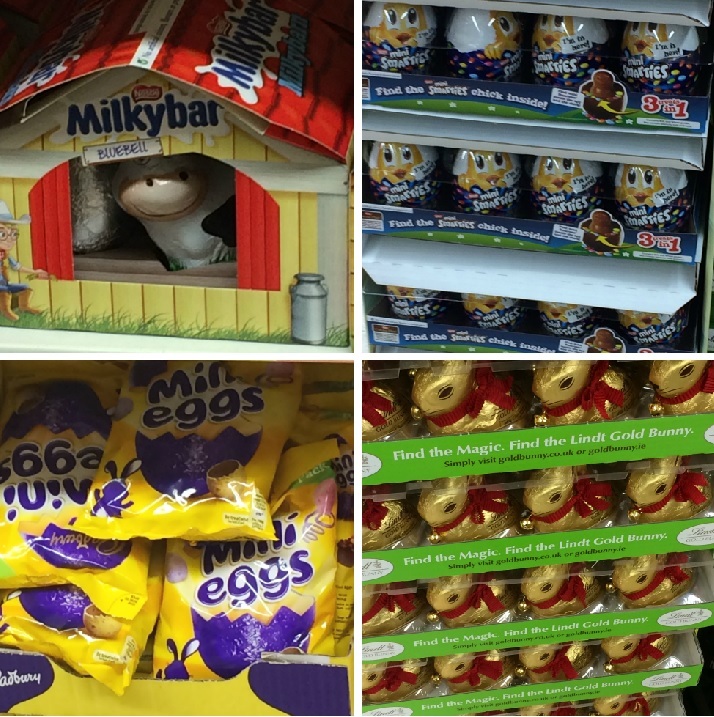 Although it's only February the shops have all started selling Easter goodies and treats. 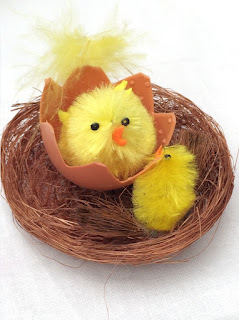 Little M saw some Easter treats and was excited about the furry little chicks in baskets. We bought some mini Easter Eggs and the furry little chick in the basket. We had lunch out and then ventured home. 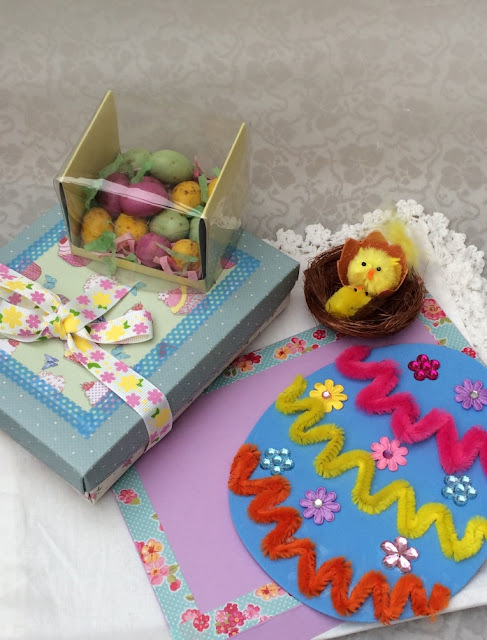 The afternoon the weather turned awful again and I was thinking what we could do, luckily my Bostik Easter Craft challenge box had arrived so Little M and I looked through it and she decided she wanted to make an Easter card for her mum and dad to take home with the chocolate crispies. 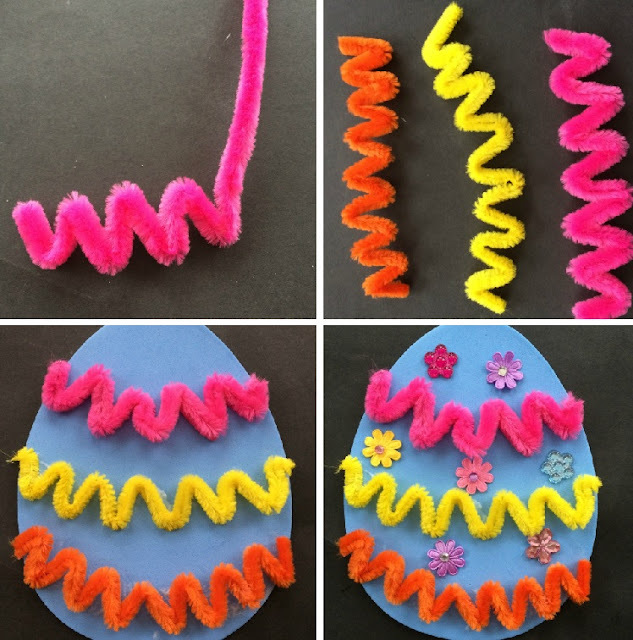 She chose the foam easter egg shape, some pretty flowers and the pipe cleaners which she was really excited about as she thought they looked like pretty worms!!! She had endless fun bending them into wiggly shapes and this is how the zigzag on the card idea was born. 2. 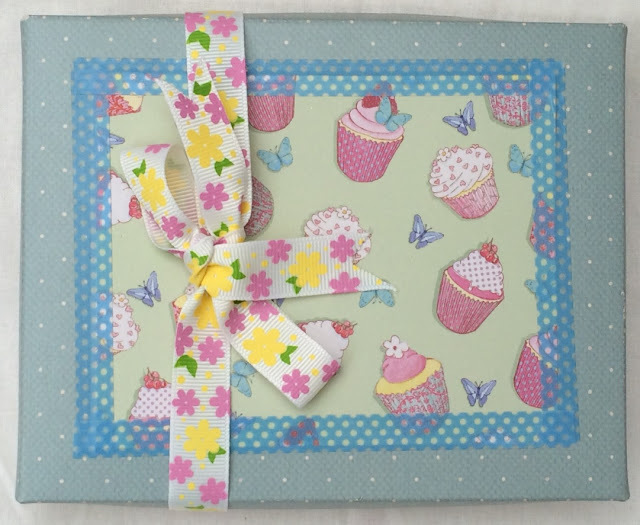 Arrange them on the card and shape them, gently cut off any edges that are not required. 3. Stick the zigzags onto the foam using the glue. 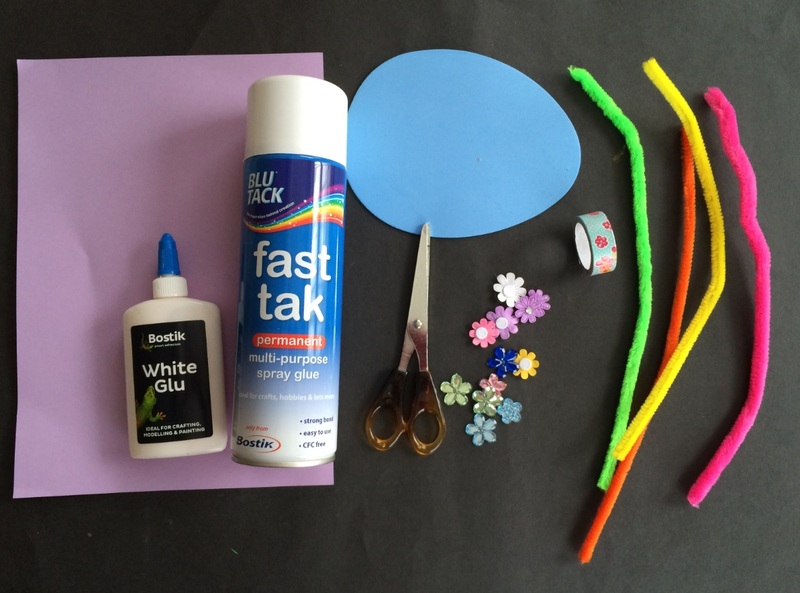 This was tricky and we had to put a heavy book on the card for a few minutes to make the pipe cleaners stick to the foam. 4. While the pipe cleaners were waiting to stick. We decorated the envelope which was plain. We stuck the pretty floral tape on the four edges of the envelope and it was transformed. 5. The pipe cleaners were securely stuck on the foam and Little M added some stick on flowers to finish off the foam card. 6.Lastly We added a Happy Easter message on the back of the foam card. 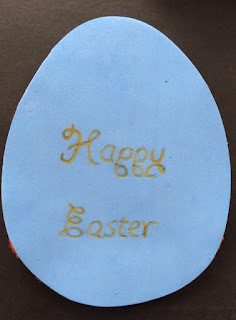 I wrote the words happy easter in pencil and she went over the pencil lines with a gold decorating pen we had. The card fitted beautifully in the envelope. Little M was really pleased with her card. 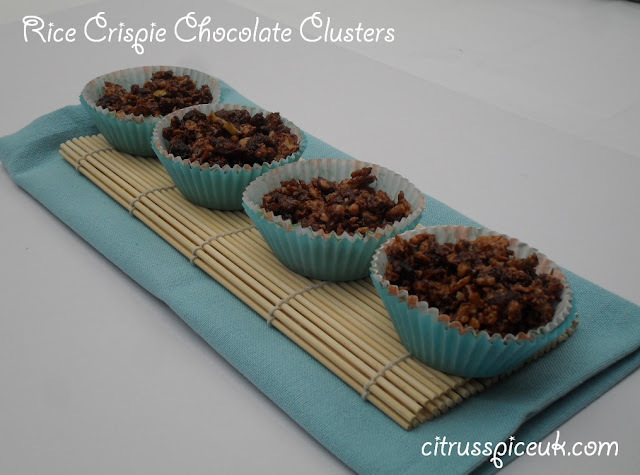 We also put the chocolate crispies in a pretty box and tied a ribbon on it to make the perfect gift. The day was really enjoyable and it certainly brought the child out in me. I think these babysitting days might become a regular. Little M and I had a lovely time crafting thanks to Bostik for the craft box they sent me. Little M's Mum and Dad were really pleased with their gifts too. Looks like you had a lot of fun! 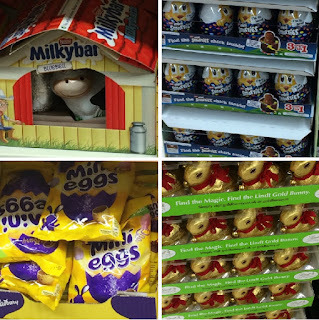 Can't believe Easter is nearly here, I've only just recovered from Christmas. Aw I'd love to do a craft day, looks fun! Great ideas here to keep the little ones busy. I am going to pass this on to my sister-in-law, as I think my niece would love this. I like the egg card with the pipe cleaners - a nice idea. The banana smoothie looks so good and I love this Easter crafting idea! I wonder if it would prove fruitful if I requested rice crispy cakes, they look divine! Sounds like you both a great day. 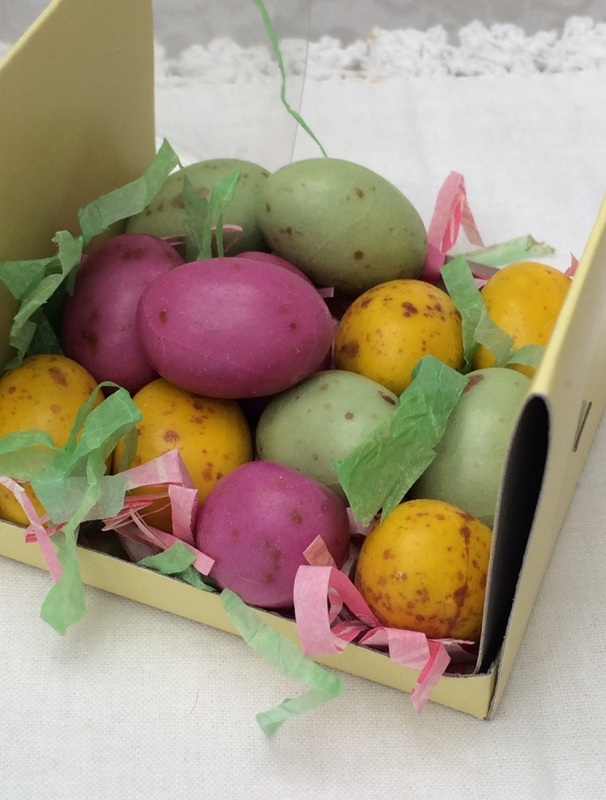 It certainly kept your four-year-old niece busy and I think the Easter egg card is lovely.